The day after Apple’s latest keynote, I was at the sports and fitness innovation summit. Needless to say, the atmosphere was particular, most of the participants being threatened with not a product, but a single announcement: the iWatch. It was interesting to see the reactions of the speakers and the crowd who all tried to remain positive and look on the bright side: their industry is obviously booming. The industry of fitness wearable is still at its beginning stage. Today the market is full of products that have been built by and for the same people: 25-40 year old men who like technology and exercising. This idea was rapidly confirmed when I looked around at the audience of the conference. Still, despite the early stage of this industry, you will be able to find a large number of products available – more than 300 wristbands, chest straps or smart watches – which shows there is a lot of expertise in building hardware. However, quality hardware is nothing without good software to enhance it and therefore allow the user to use it at its full potential. What stood out significantly when listening to the speakers is that almost all wearables do the same thing: counting your steps, the distance you have walked/run and calories burnt. With the right software, these companies could do much more in terms of analyzing your activity and give you a global understanding of what you can do. Nike for instance has seen that and this is why they have pulled out of production their Fuel Band wristband to focus on creating an API instead of strictly building hardware. The current wearables can tell you how many steps you have done every day, which can be interesting at first, but after a while isn’t enough any more. In fact, more than 40% of users give up their wearable completely after 6 months, most likely because of the lack of feedback from the “smart bands”. With the arrival of Apple in this industry, its current actors have an opportunity to access a whole new audience. These smaller companies will be attractive in terms of price, segment and loyalty. For example, they will focus their products on identified targets, who have been forgotten by and who should represent a $28 trillion market by 2020. The targeting of special segment of life will also develop fast, like the full investigation and feedback of your sleeping habits, or t-shirts made for measuring your exercise. In that mindset, the wearable market should see fashion follow suit and new partnerships emerge. The Gold Edition of the Apple watch should be the first, with Luxury companies partnering for special editions. A speaker from Intel confirmed a partnership as of September 5th with the watchmaker, Fossil Group, to develop wearable computing design together. 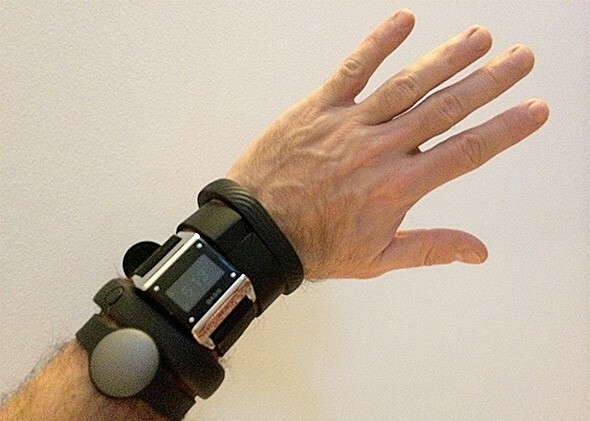 The future of wearable will also see the arrival of all the fitness App developers. They were for the moment “stuck” on smartphones but have the opportunity to be integrated into wearable with the smart watches. A RunKeeper speaker was emphasizing on how crucial their move to the smart watch platforms will be, because it will give them a much larger audience. Even today, a report from Flurry Analytics shows that the fitness app usage is growing 87% faster than the overall app market. Overall this conference has showed me fitness wearable will be one of the fastest growing industries in the coming years, and they might just change the way we sleep, eat or workout, unless of course you forget to put them on in the morning.